Invite your favourite Movie or TV Character or Superhero to your next party. Our exclusive range will dazzle and delight, creating a party experience the kids' will love and remember forever! 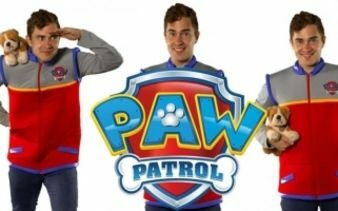 Invite Ryder, Chase, Marshall or Skye to your next party to get the kids to work together to protect the community! 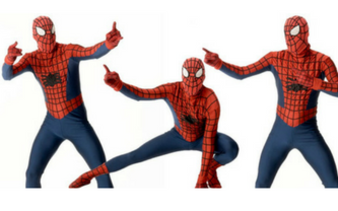 Spiderman will keep your child and their guests captivated from the moment he bursts through the door. 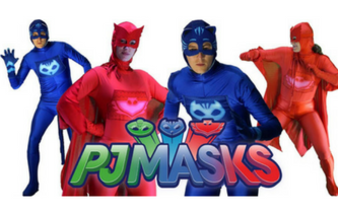 Explore our PJ Mask Characters, Catboy and Owlette who like to embark on adventures that are filled with action. 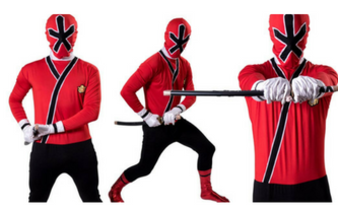 Join the Power Ranger heroes to save our planet at your party! Help your Power Ranger protect life on Earth and the Zeo Crystal. 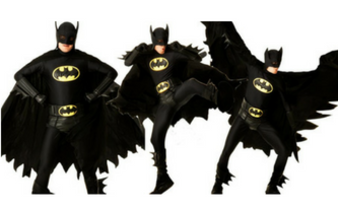 Batman or Batgirl (the choice of either is yours) is sure to be a knock out for your child's birthday party! Fight the baddies or head out on the next mission to save the world. 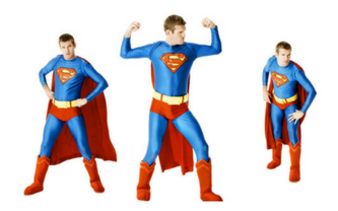 Invite Superman or Superwoman to your next party to fight the baddies of this world!